Most people desire an outwardly beautiful home as it tends to bring feelings of happiness and comfort. It is easy to get carried away with the exterior and forget about the importance of maintaining other aspects of your home. Sometimes people are put off of because of the costs as well as the amount of time it may take. However, without maintenance culture, you’re more likely going to end up spending far more in the long-run when things begin to fall apart. A few major things you shouldn’t ignore when it comes to maintenance include your windows, roof, and cracks or holes. This article will give more insight into the mentioned aspects of maintenance and how you can go about it in order to keep your home in good shape. Windows may seem like an insignificant aspect of a home or property. However, failing to maintain them can result in window jams, energy loss, and deteriorating windows. To prevent such occurrences, you should consider carrying out an inspection every season. During these inspections be on the lookout for rot, failed seals, or gaps between the window casing and the wall. You could also consider regular window cleans using a glass cleaner. Don’t forget to clean the window casing as well as the wall area too. If you happen to be trying to improve energy efficiency in your home, it’s advised to use window treatments or coverings, caulking, or weather stripping. Not only should these tips help your windows last longer, but they’ll also leave you with attractive windows which will complement the overall outlook of your property. Your roof is one of many aspects that hold the physical aspect of your house together, so maintaining it is quite important. It has been found that proactively maintained roofs tend to last up to 60% longer than roofs that are re-actively maintained. Roof maintenance includes checking for leaks, clearing any debris and getting rid of moss. 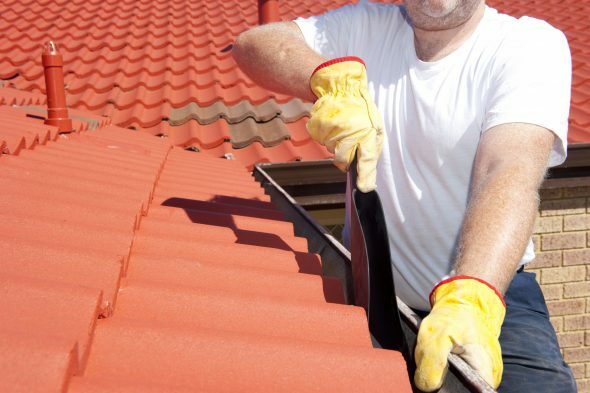 If you happen to live in a big house or are reading this because you’re managing a commercial property, finding a good roofing company that can help you maintain your roof should save you from a leaking or collapsing roof in the future. It may be best to call a professional in most instances as they’ll be able to see things that you won’t. Rodents can become a hassle if they find their way into your home. Not only do they eat through and damage property, but getting rid of them professionally could cost you anywhere from $300 upwards. According to the Environmental Protection Agency, it’s important to look out for holes that may have been created in walls or floors that could become entry points for rodents. There are several ways that you could go about filling these holes which include DIY in which you could plug entry points with steel wool, caulking, or concrete. Alternatively, you could call in a professional to check for and seal entry points. Having a home that’s beautiful on the outside is great, but maintaining the aspects of your home that seem insignificant is important too. Remembering to keep your windows intact, getting yourself a decent roofing company, and making your home rodent proof are just a few ways to stay on top of things. By doing so, you’ll be able to enjoy the long-term benefits of a house functioning at its highest capacity.